Time: Thursday through Sunday from 10 am - 4 pm, April through October. 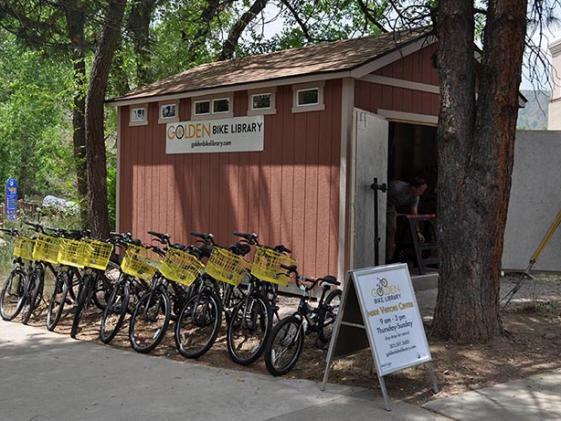 New in 2019, the bike library will also be open on Mondays from 10 – 4 pm. Memorial Day, May 27, to Labor Day, September 2, 2019. 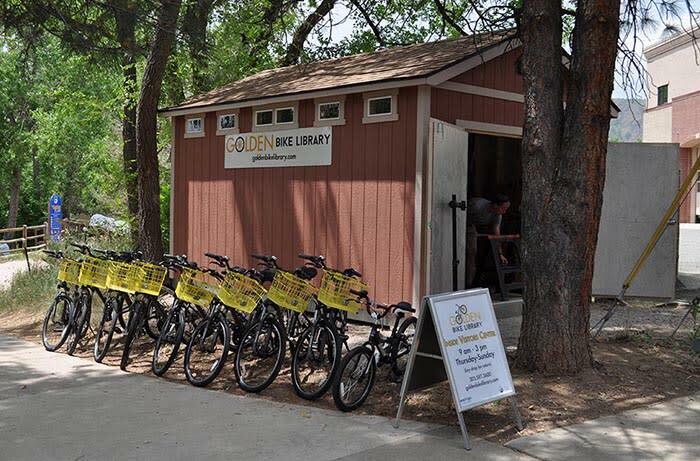 The Golden Bike Library is centrally located at the Golden Visitors Center at 1010 Washington Avenue. Users can check-out bikes Thursday through Sunday from 10 am - 4 pm, April through October. New in 2019, the bike library will also be open on Mondays from 10 – 4 pm. Memorial Day, May 27, to Labor Day, September 2, 2019. A key-drop box at the Visitors Center allows users to return the bikes after hours. Riders will be required to sign a waiver and those under 18 must have a parent signature. A valid ID and credit card are also required for rentals. Riders can "check out" a bike for two hours for free or for the entire day for just $10. Reservations available at goldenbikelibrary.com for the $10.00 all day fee. Since there are a limited number of bikes, this is offered as an option to guarantee a bike in your preferred size. Pricing and hours are subject to change at any time. Each bike comes equipped with a lock and helmet. Riders also receive a Golden Ticket with each bike rental. The helpful bike library staff provide trail maps and suggested tours: including rider favorite, the Golden Craft Breweries Tour. Stop by the Golden Visitors Center to check out your bike!.